Authorities in Madrid and Barcelona continued their standoff on Friday (29 September), hours before an independence referendum was due to take place in Catalonia despite having been declared illegal by Spanish judges. 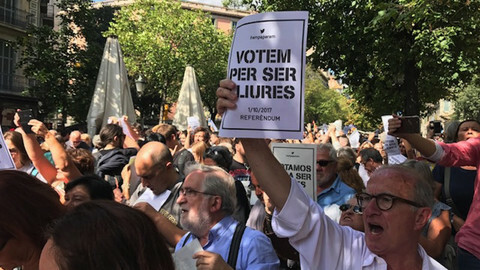 "Catalan citizens will be able to vote on Sunday," the vice-president of the Catalan government Oriol Junqueras said in a press conference with the regional government spokesman, Jordi Turull, and the minister in charge of external relations, Raul Romeva. They showed one of the transparent plastic ballot boxes that was to be used and said 5.3 million people would be able to vote in 2,315 polling stations managed by more than 7,200 volunteers. People would be able to vote "even if some try to close the schools" where the vote was set to take place, they said. 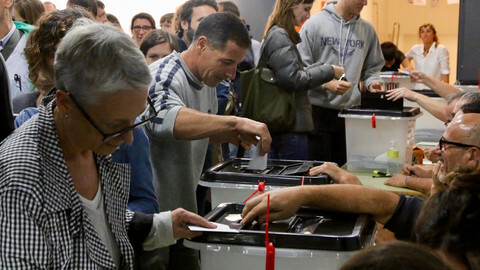 Junqueras said that Catalan authorities would "work to guarantee that citizens can vote despite difficulties". The regional government, through the Public Diplomacy Council of Catalonia (Diplocat), has invited 33 parliamentarians from Europe and Israel, including nine MEPs, to oversee the vote. At the same time on Friday, the Spanish minister of education, culture, and sport - Inigo Mendez de Vigo - said "there will be no referendum in Catalonia". 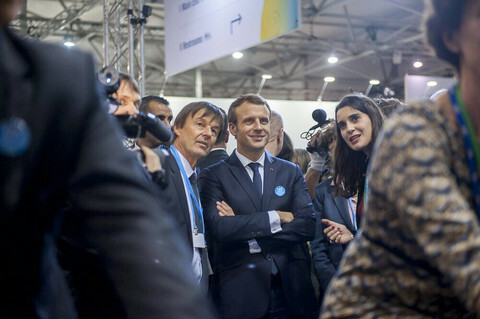 Sunday's vote was "convened without legality and without an electoral commission, without ballot papers, without polling stations, without official notifications, without an official census and without data protection, without census cards, without electoral administration, and without authorised premises," he said at a press conference in Madrid. 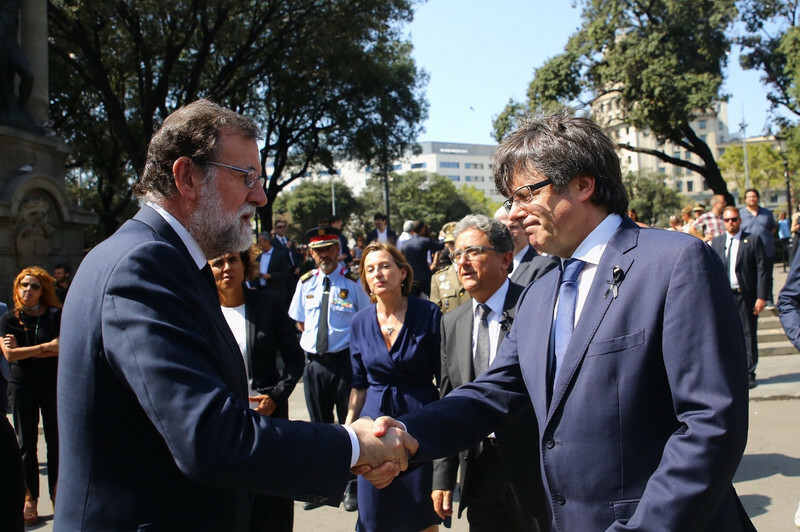 He added that Catalan leaders have repeatedly showed "disobedience and serious disloyalty." "The government is going to enforce the laws, we are all responsible for our actions and whoever harms the [laws] must face the consequences," he said. The government later added that "those responsible for this situation will face court cases in a personal and patrimonial way." 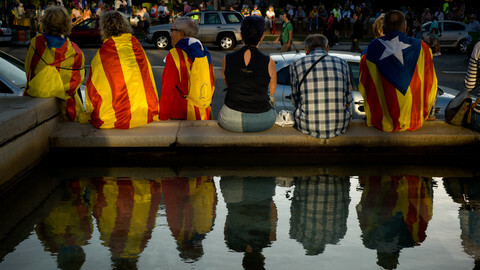 The warning comes after a dozen Catalan officials were detained for two days last week. Spanish judges have also ordered seizures of referendum material and the closing down of pro-independence websites. Extra police have been transferred to Catalonia from other parts of Spain, and the government has warned that they will close down polling stations. Prime minister Mariano Rajoy did not attend the informal EU summit in Tallinn on Thursday and Friday. He is expected to stay in Madrid over the weekend to follow the situation. So far Rajoy has mainly let the judicial system take care of the separatist process. 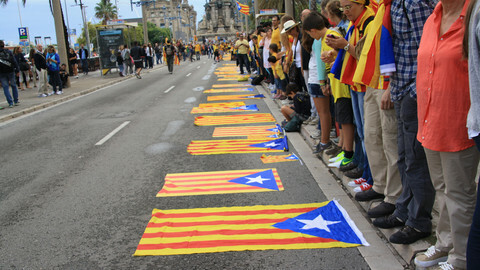 "This is absolutely a matter for prosecutors and judges," one high-ranking Spanish government official said on Thursday. But Rajoy's approach has attracted growing criticism in the public and media. "The Popular Party government led by prime minister Mariano Rajoy cannot hide behind the justice system in the face of a crisis on this scale," El Pais, one of Spain's biggest newspapers, said in an editorial earlier this week. The dispute "has reached a moment of absolute conflict," Mateo Ballester, a professor of political science at Madrid's Complutense University, told EUobserver, and that is why "it has become a matter for prosecutors and judges." "The lack of willingness to dialogue between the two sides is a great problem," he said, adding that both sides were acting "arrogantly". "But of course there is a need for political negotiations that should have taken place a long time ago and that must take place now after 1 October," he said. The rise of the Catalan separatist movement may be a consequence of Rajoy's party's hardline policy on the region's autonomy, the political scientist said. Now, whatever happens on Sunday and afterward, he said that "the big question" was whether "the Catalan mindset has changed permanently with regard to relations with the Spanish state". 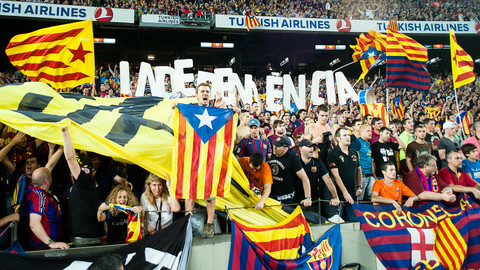 "Will things in Catalonia return to what they were before or will it become a permanent conflict? ", Ballester asked. "A lot of politics has to be done here and less judicial proceedings. This depends both on the state and on the regional government," he said. 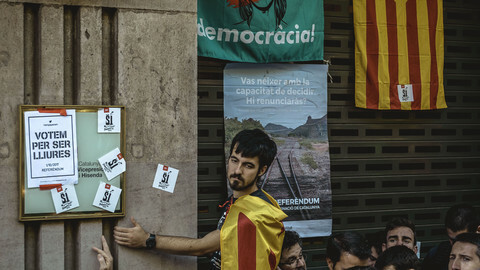 Catalonia leaders insisted on holding secession vote deemed illegal by Madrid, but signalled readiness to discuss other options than independence. Faced with the growing tension between the Spanish and Catalan governments, the member states and EU institutions would prefer not to get involved. Armed Spanish police have arrested Catalan officials and seized ballots for an independence referendum, prompting appeals for EU help. Spanish authorities are blocking pro-Catalan websites in the lead up to the referendum in October. Asked whether freedom of expression was being undermined, the EU commission refused to comment. "The citizens of Catalonia have won the right to an independent state," the region's leader, Carles Puigdemont, said at the end of a day marked by Spanish police violence inside and outside polling stations. EU leaders and institutions largely remain silent, despite calls to condemn the brutal police crackdown at polling stations in Catalonia during its disputed independence vote.